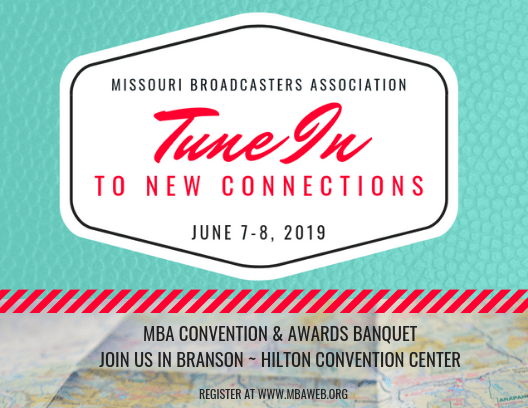 The members of the Missouri Broadcasters Association are committed to encouraging the highest standards of broadcasting. The MBA Scholarship Fund was established as a part of this excellence. Deserving students may receive financial aid to assist them in attaining the training and expertise required to become valuable employees in Missouri’s broadcasting industry. Students … you must get your application from a radio or television station. Must be a Missouri resident. Must be currently attending a Missouri College, university or accredited tech/trade school or be a graduating high school senior who has been admitted to a Missouri institution of higher learning. Must be enrolled or planning to enroll in a broadcast or related curriculum, which provides training and expertise applicable to a broadcast operation. Must be a full-time student for every semester the scholarships awarded. Full-time status requires enrollment in at least 12 credit hours. Must have a GPA of at least 3.0 on a 4.0 scale, or equivalent, which must be maintained for each semester of the scholarship. A completed application signed by the school’s department head or guidance counselor certifying that you meet the eligibility requirements. Essay (Three pages, typed, single spaced). Please see the application for subjects that must be addressed. Five copies of the application and attachments. Applicants must submit their completed application from and all attachments to a single participating MBA member station in their home area. Only one application will be accepted per student per year. The applicant’s curriculum and career goals. Clarity of thought and expression. Community involvement and extracurricular activities. All applicants who will be considered for the final selection by the Scholarship Committee may be asked to travel, at their own expense, to Jefferson City for in-person interviews. The annual deadline for application is March 31st. Recipients will receive notification of their award no later than June 30th. Multiple awards may be assigned each year and the amount of the scholarship will vary. This is a renewable scholarship, provided qualification standards are maintained. Recipients wishing to renew their scholarship must reapply each academic year through their area member station. The Missouri Broadcasters Association informs members about training opportunities, trends and policies while providing a voice for broadcasters in both state and federal political arenas. The MBA encourages high industry standards and practices, recognizing that credibility is important and ethical conduct is necessary to the trust of clients and the public. Our members support equal opportunity in education and employment.